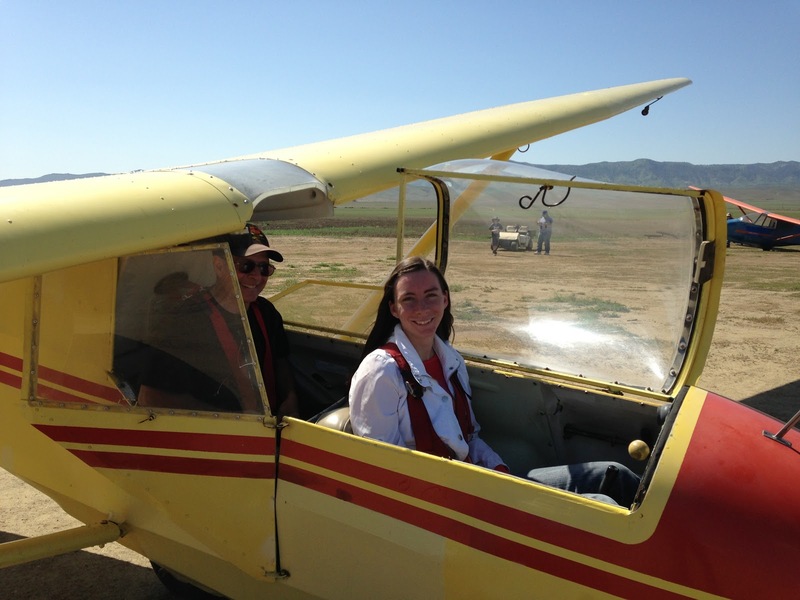 On Saturday, March 16th, Jennifer Baltimore flew out with Julie Butler in Julie's Cessna 150 to experience her first glider flight. The winds were strong departing San Luis Obispo and there was some light turbulence over the hills west of Avenal. We arrived just as the glider was pulled out onto the flight line. Although bumpy to the west, the air over Avenal was fairly stable; Dan Gudgel was able to give Jennifer a taste of smooth glider conditions - she was thoroughly pleased. While Jennifer was up, Steve Schery and Julie went for a tour of landing strips on the west side of the Temblors in preparation for some flights in the convergence during the upcoming season. Another beautiful day in Avenal!